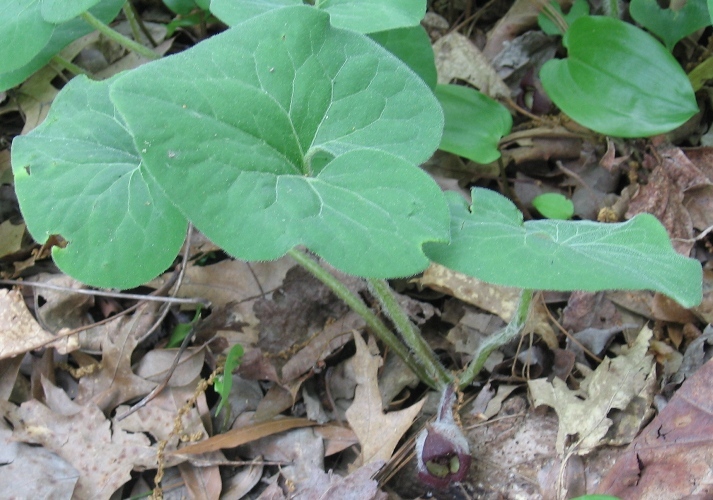 Asarum canadense is a perennial, herbaceous ground cover, about 10 cm tall, slowly clonal from short, extensive system of rhizomes, roots associated with VA mycorrhizas (Brundrett and Kendrick 1988); hairy. Leaves opposite, in pairs at ends of rhizome branches, heart- to kidney-shaped, dark, matte green, 8-12 cm wide. Flowers reddish-brown, petals none, calyx broadly cup-shaped, 3 lobed, ca 3 cm wide, stamens 12, fused to styles, ovary inferior; solitary arising between leaf pairs; April-May. 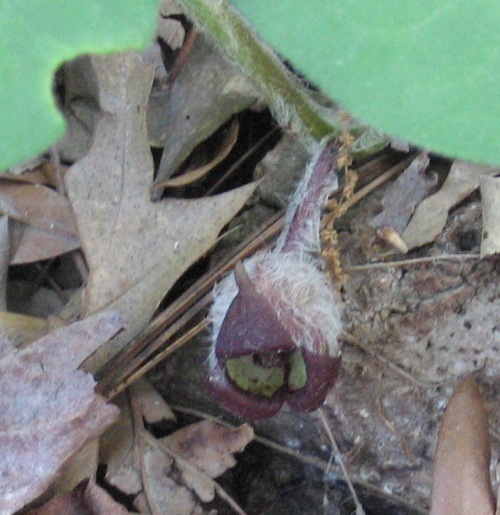 Asarum canadense fruit, seeds with arils. By Bruce Patterson. Copyright © 2017 Bruce Patterson. New England Wild Flower Society. gobotany.newenglandwild.org (Accessed 10/2017). 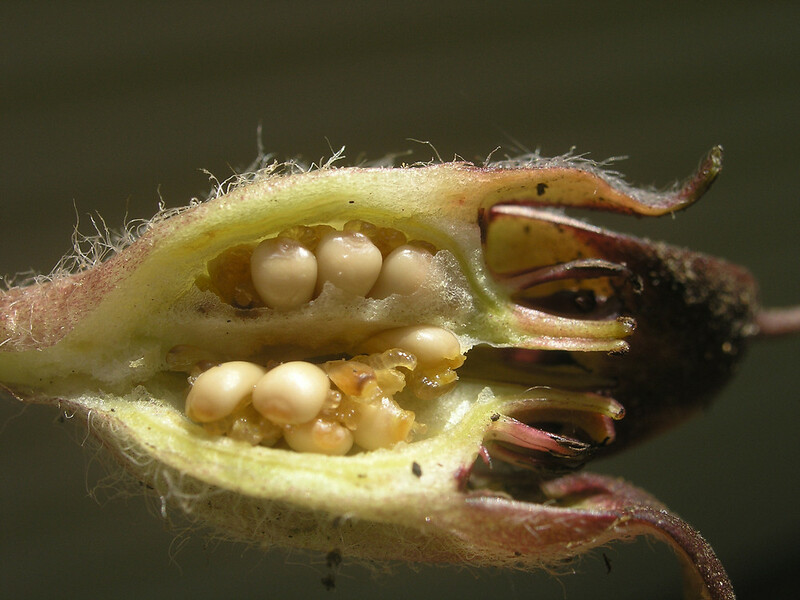 Fruit dry, hollow capsule, splitting opening to release numerous large, seeds with fatty arils (elaiosome), dispersed by ants, probably including genera: Aphaenogaster (A. rudis), Myrmica, Formica and Lasius (Thompson 1980; Beattie and Culver 1981; Handel et al. 1981; Cain et al. 1998). Dispersal to and establishment in new sites in successional forest, contiguous to old regrowth stands has been estimated at a rate of 0.59 m/yr (Matlack 1994). Habitat: A forest interior herb, undisturbed woods, in rich, moist soil (Matlack 1994). Very shade tolerant. Sometimes as a remnant in disturbed woods.